The Kingdom Intelligence Briefing is a faith-based ministry outreach of Biblical Life Assembly. Only through the love gifts of our friends and partner are we able to develop the articles, podcasts, and videos posted on this site. Then there is also the time that both Dr. Lake and Mary spend answering emails, ministering, and praying for members of the Body of Christ around the world each week. If you believe in what we are doing at KIB and would like to see us expand this ministry, we encourage your to give to support our mission in the Kingdom. Please use this link to donate to the Kingdom Intelligence Briefing through Our Shopping Cart. If you would prefer to mail in your love gift, please make out your check or money order to “Biblical Life” and write “KIB” in the memo section. The Kingdom Intelligence Briefing is a part of the ministry of the Biblical Life Assembly. BLA is a chartered ministry with our Church Group, The Restoration Fellowship International, and falls under RFI’s Group 501(c) tax exemption. Can you, will you,be adding PayPal as a donation, payment form? Much faster, simpler then credit or debit card transactions and less CC company transaction information collecting. We are already paying for two different services that are compatible with our local bank’s system. Paypal is much more expensive than the other two, and we would have to add the PayPal fees on top of what we are already paying. Our current system is state of the art, and we do not not even have access to any credit card information. Praise Adonai!!! Paypal worked for me! Love you both.~~ prayers your way! I appreciate you both so very much. Thank you for all that you do on behalf of the Body and those of us who are waking up to the Glorious Good News! Please except our donation with the love that it was given with. I just want to say thank you for shining the light of Yeshua in this world. Everytime I hear your podcast I can sense the Holy Spirit working through you both. My family and I are learning our Hebraic heritage and have seen strongholds being broken in our lives. I am so happy to have found you two! The teachings are deep and thoughtful and I love you guys. In addition to the podcasts I have begun the Kingdom study and WOW is all I can say. You are making a difference in my spiritual growth in a varied array of directions. Thank you, and a hug for Mike and a hug and a check kiss for Marylou. Keep up the great work! love to you both! 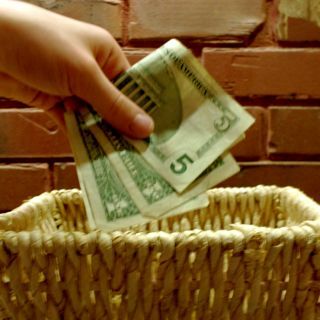 Is there a reoccurring donation option on your site for those of us who are forgetful? I’ve seen that option when giving via PayPal to other ministries. It is in the PayPal button on our site as well. Just press the PayPal button and it will walk you through it. Dr. Michael and Mary Lou Lake! You guys are dynamite! I am devouring your teachings on YouTube, KIB, books (Shinar…and Sheeryith…), free module seminars…you name it. I can’t get enough of it. Praise be to GOD for your anointed teachings and I so adore and love you and MaryLou on KIB. It feels like I’m right there with your guys, drinking a cup of coffee and learning and discussing the goodness of GOD. Effective today, May 8, 2017, I will be paying my tithes to KIB until I find a home church at which time I will likely continue to donate. Be blessed. I’m praying for you guys, your family and ministry! To Bod Be The Glory! First of all, thank you for wanting to support our ministry. We are not set up to process credit/debit card over the phone. PayPal and the shopping cart we use are some of the most secure available. You will find our mailing address on this page, so you can mail in your love gift with a check or money order. Pastor Lake, I hear from Sheila, Pastor Lankford, and others, the 501(c)3 is a ba’al government controlling system. I did some research…and yikes, because I love you guys, I’m very concerned, do churches have any idea what they’re under. Thank you so much for the time you and Mary put into your work for the LORD, Ha’Elohim, Jesus Yeshua. I admire you both. We don’t do “Christmas & Easter” anymore either, thank you for your teaching us on those pagan issues, and how people around us can go cookoo in a blink and witchery. And bringing down the Jericho Neph walls…awesome! Blessings always. The IRS has already admitted that the Johnson Act cannot be enforced, and our current President has signed an executive order for it not to be enforced. At Biblical Life, we have always declared God’s truth and will not back down for anyone or any organization! Dear Dr. Lake, I have been so blessed and built up by your very timely teaching,especially in the Understanding the Kingdom series.Such anointed teaching on God’s commandments,Feasts and holiness and very much in line with what God is saying to us here in North Wales UK.I am in a growing Sabbath congregation – we have kept God’s Feasts for over ten years and are now really experiencing a new season of seeing God’s power at work in healing, deliverance and radically changed lives. A massive thank you to both yourself and MaryLou for your outpoured lives which are impacting Gods people in this exciting and challenging time of opportunity. God bless you! I am so thoroughly blessed, encouraged,and growing deeper in my understanding of the Kingdom. I am reading The Shiner Directive to my daughter for her homeschool/Biblical History. She is taking notes so she can comprehend it better. We are going through it slowly, but plan on doing the Shereeth Imperative when we finish with The Shinar Directive. Much love and prayers for you and your very precious wife and soul mate Mary! You can use the Donate button on the top right side to set up monthly love gifts through PayPal. Most of all, please remember to lift us up in prayer daily. Absolutely! We will continue to lift you up in prayer. You are giving truth out and we want to support that! BLOG database for email subscription is handled directly by WordPress. This usually occurs when the email is already in the database. We have truly gleaned much from your broadcasts we have watched.we are thankful to find a ministry that embraces the power of god , the gifts of the spirit including the baptism of the Holy Ghost,the five fold ministry, along with our Hebraic roots including the Shabbat , biblical feasts and eating biblically clean.also thankful that the enemies unfruitful works of darkness are being exposed ie pagan holidays xmas Easter etc, the occult’s esoteric, nwo elites plans too.and while we know our pres has his flaws he is being used by God to help our country and I’m thankful this ministry can discern this. You both continue to feed me spiritually. I thank you both so much for your ministry. I am so blessed to have found this ministry! I am a music minister delivered from a huge church system. I was raised on word of faith healing school and prosperity gospel but never felt the life they promised my confession would produced. I watched my family attempt spiritual warfare and die one after the next, all of cancer. I knew God was real, I have never ceased to believe in Him, but the doctrines of men are junk. I left word of faith as soon as I was old enough to make an adult decision, I have searched for balance and believed the word my entire life. I just haven’t found anyone else doing it. I’m finally walking toward truth and keeping the feast and Sabbath to the best of my understanding. I’ve got so many questions but I’m committed not to fall into Judaism or churchianity… It’s like walking through a field of landmines! But the word is a lamp to my feet and a light to my path! Thank you for your ministry! I love the Lord and am hungry for His word and truth rightly divided. I am desperate to be obedient and walk in supernatural power. Kingdom of God come and will of God be done in my family! I look forward to seeing you this week in Tennessee! Momma Mary, I am praying for supernatural conception, pregnancy, and delivery of healthy babies! If the Lord should lead you to please call out my name, even once, I Thank you… I’m on the verge of a total breakthrough in this area of my life. To God be the glory. He is remembering me and I will bring forth children to His glory! Thank you Michael. You have helped me see the truth of the word impartial and I influenced by the world. You’ve changed my life to be honest. Through His truth! Love ya Mr. lake! I am grateful God has used you! We are so grateful the Lord has used the messages to speak into your life! May the fire of God burn brightly in you always. Are you a 5013c organization? I am praying you get out of that system. I do believe you and Mary have a lot to teach however I am not sure if being part of that system is hindering you … praying for you both . Local congregations do not have to apply for 501(c)3. However, the moment you go beyond your community and grow into a national ministry, Federal law requires the 501(c)3 status. The IRS has already admitted publically that the Johnson amendment cannot be enforced. Also, President Trump has signed an executive order forbidding the IRS from enforcing it. Our 501(c)3 is through group exemption through our Church group: Restoration Fellowship International. For over 40 years, we have preached exactly what the Holy Spirit has given us to preach without a second thought of the Johnson amendment. We never have and we never will. So appreciate your teachings! What a paradigm switch…from Reformed to …. You are a blessing!